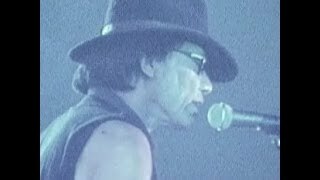 I’ve borrowed the concert footage from ‘Searching for the Sugar Man’ and added Rodriguez singing ‘I Wonder’ from this legendary concert in Cape Town,1998. The two seemed to sync in perfectly so I’M WONDERING why this was not done sooner. Please enjoy, it’s an epic concert and I’m sure there was not a dry eye in the house at the end of it. Thank you for coming to South Africa, Rodriguez. NO COPY WRITE INFRINGEMENT INTENDED.